We naturally expect that well-made, high-quality equipment is designed and built to last, but if you don’t choose the right service provider to provide maintenance, the lifecycle of your investment could be reduced. For building owners and managers, a lack of sufficient maintenance to access systems can mean inconvenient downtime, loss of rental yield, the unforeseen expenses of having to refurbish or replace equipment which has not been sufficiently maintained and, most importantly, risk the personal safety of operators, residents and the general public. Choosing the right service provider for your needs, by selecting a supplier with a combination of expertise and excellent customer service and provisioning of high quality parts, can offer peace of mind regarding your responsibilities for guarding the safety of the operators and the public. The right service provider can also help ensure that your valuable access equipment continues to perform at optimum levels over the entire life of the system. Alimak Service is a dedicated service organisation formed by a union between the leading brands in vertical access solutions: Alimak, CoxGomyl, Manntech and Avanti. In addition, Alimak Service also provides service solutions for vertical access equipment from the brands Alimak Hek, Heis-Tek, Hek and Champion. This brings together the years of experience, knowledge and expertise from all of the biggest names in the industry, as well as delivering the finest customer support to all of our customers in locations across the globe. The Alimak Group of companies has over 67,000 elevators, hoists, platforms, service lifts and building maintenance units installed around the world. As the global service support organisation of the Alimak Group, Alimak Service offers a global presence encompassing a network of technicians along with service centres and carefully selected authorised distributors in over 100 countries; Alimak Service is ideally positioned to provide customers with service when and where it is needed. This depth of expertise combined with broad reach allows Ailimak Service to deliver a wide range of service solutions specially tailored to the needs and requirements of each customer. Service options include asset management, servicing, maintenance and repairs, procurement of genuine spare parts, refurbishment solutions, training, inspections, safety and compliance. 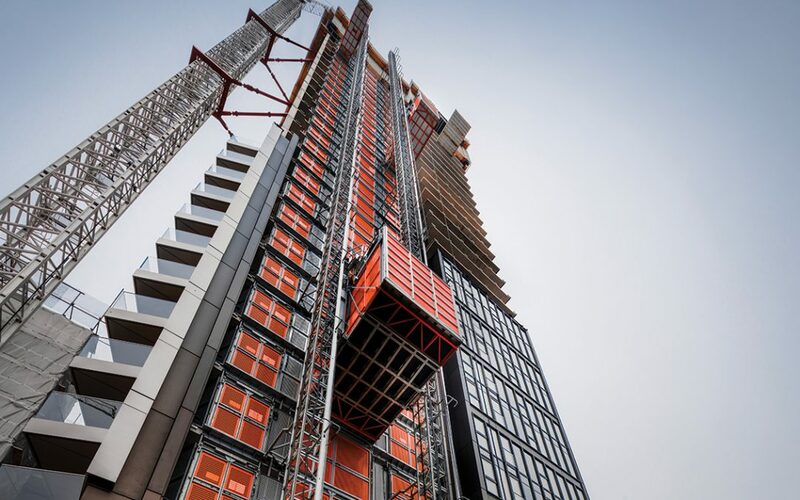 This all ensures that your investment in vertical access systems is protected, that they continue to serve you as they are designed to, and that providing a safe environment is taken care of under the watchful eye of industry experts. For all of your service, parts and training enquiries for your vertical access system, please contact us. The package of service solutions that will meet the requirements of each customer and each vertical access system will always vary depending on their individual circumstances. For these reasons Alimak Service are able to provide a comprehensive range of service solutions which are tailored to each customer’s specific needs and concerns, taking into account the demands of their diverse environments. Alimak Service offers the experience and knowledge of the leading brands in access solutions and a service support network covering 100 countries around the world. This means fast, efficient service wherever the system is located. Highly trained service technicians are strategically located across the globe and have the expertise to deliver excellent service on a wide range of access systems while being mindful and adaptable to local and individual concerns. Whatever the specific uses of the vertical access system or demands of the location, there are some elements that don’t change. Safety is at the core of every service we provide along with the peace of mind that comes with knowing your equipment will be maintained to the highest industry standards. Our expert Service team will guide you through the options available within the range of service maintenance packages and help you discover what tailored solution is most suitable for your equipment and your individual needs. This might be as basic as a standard service agreement based on the original equipment manufacturer’s preventative maintenance schedule. 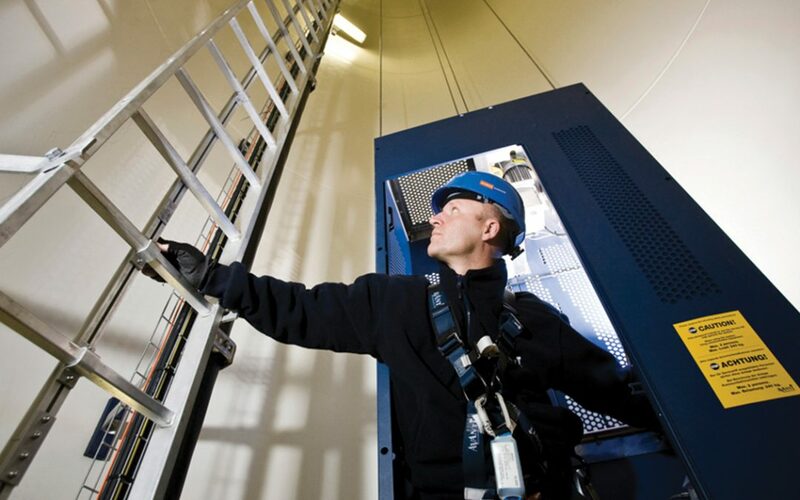 In order to take the opportunity to protect your investment in vertical access equipment, your requirements might extend to a comprehensive agreement designed to manage the equipment through the total lifecycle to minimise downtime and ensure every component of the access system is contributing to delivering the optimal performance it was designed for. Within our broad range of service solutions, there are several types of services available which might form a key part of the solution that keeps your vertical access system performing reliably and safely. Regular preventative maintenance, for instance, ensures the ongoing health of your equipment before a larger problem occurs and helps extend the life span of the system for as long as possible. When an issue does need to be addressed, such as an unscheduled repair or replacement of worn or damaged components, Alimak Service offers specialist knowledge of structural, electrical, mechanical and hydraulic systems, along with a network of service centres to support work carried out in the field, and only use genuine spare parts which are warranted against failure. Alimak Service also offers easily accessible technical support for troubleshooting and diagnosis of faults. This can streamline the work carried out on site and reduce the time and inconvenience involved in assessing equipment in remote locations. Beyond the details of your tailored package, all service maintenance packages from Alimak Service include numerous important features as standard. To mention a few, Alimak Service’s technicians are all trained by the manufacturers and where required, fully certified for working at height or in other specialist situations. All spare parts are 100% genuine and all maintenance and repair work is fully warranted. Our technicians always aim to fix any issues completely, first time, and keep downtime to an absolute minimum. Certified and thorough training is paramount in ensuring the safety of vertical access systems. Although there are always new advances in safety equipment and technologically is constantly advancing towards minimising risks, the ultimate responsibility for maintaining a safe environment and ensuring safe operation of vertical access solutions comes down to a combination of well manufactured equipment, and building owners investing in the right operator training and an ongoing maintenance plan for their equipment. For that reason, Alimak Service are proud to offer a wide range of certified, competence-based training programs to provide for the safe operation, maintenance and installation of equipment across a number of highly-regarded brands and manufacturers. Our training syllabus encompasses courses in four key areas: personal safety training, operator training, technical training and installation training. We see training as more than a service but instead as part of our responsibility as a prominent leader in the vertical access industry and as part of our commitment to promoting the highest standards of safety. To these ends, we work closely with several leading safety and industry organisations in order to be well-informed of the regulatory and legislative landscape and ensure the training we deliver meets or exceeds the requirements. The delivery of this important training takes a varied and flexible approach. Classroom-based learning is available at our dedicated service centres, while state of the art e-learning makes training accessible anywhere in the world at any time, which is a valuable asset in terms of delivering essential support to people in remote locations. In addition to the classroom and e-learning options, some training courses can be conducted on-site. Beyond the training course itself, Alimak Service also offers additional support for customers to take control and develop their own training pathway as well as keeping records of completed training and providing updates when refreshers and re-certification is required. On top of our regular training courses, our training managers can also work with customers to develop bespoke training which is tailored to the needs of your people, organisation and equipment, with localised material designed to ensure compliance with the specific legislative and regulatory requirements of the area involved. 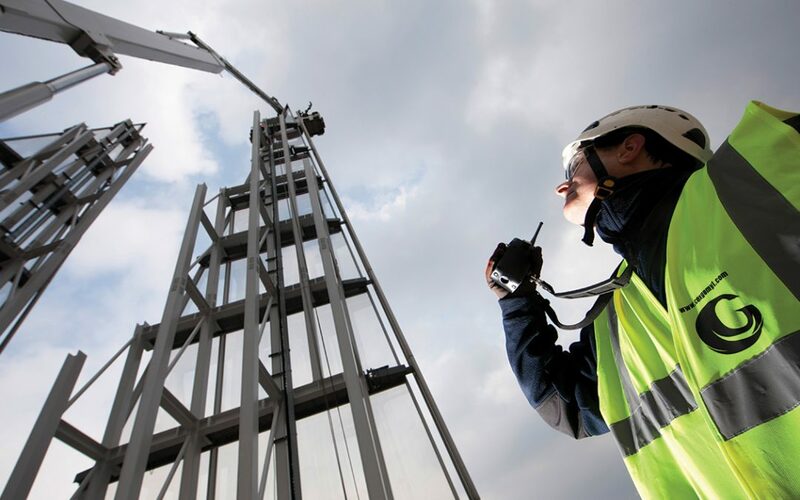 Bearing in mind advances in vertical access equipment and changes to legislation and regulations around the world, the landscape is constantly shifting and we are committed to ensuring that our training reflects this to keep your people safe. Alimak Service are active in promoting and adopting the best working practices currently available in the industry and reviewing our training content to reflect this. Vertical access systems from the most well regarded, high-quality manufacturers are always designed and engineered as a long term investment in the care of your building. That being said, the march of time affects us all, even machines, and any system will begin to show signs of age after many years of service. Regular maintenance is therefore vital and at times, refurbishment solutions are necessary and can also offer a range of benefits. As an alternative to getting by with an aging vertical access system which is no longer considered fit for purpose, a refurbishment of your system can provide many of the enhancements and advances that have improved performance and transformed the industry over the years. Due to age, increased downtime, lack of functionality or specific damage, it sometimes becomes necessary to upgrade existing access equipment with the benefit of the most recent technological advances. Older systems can also become a financial burden as it costs more to keep them running each year. Without incurring the considerable expense involved in installing an entirely new system, refurbishment by industry experts such as Alimak Service can extend the operational life of the existing equipment and therefore maximise the value of your initial investment in vertical access systems. Alimak Service’s refurbishment solutions always includes a full inspection and evaluation report of the equipment, a detailed proposal which allows you to make an informed decision on the cost effectiveness of the refurbishment. Work is then undertaken by highly skilled technicians, fully warranted and up to the latest industry standards. The use of genuine spare parts ensures the quality and longevity of the refurbished vertical access solution. Depending on the details of the project, a refurbishment solution might be relatively limited in scope and come under the banner of Product Upgrades. This kind of refurbishment project is focussed on a limited number of specific key components. In instances where bespoke or aging components have become obsolete and outdated, or can no longer be viably repaired, carrying out upgrades to introduce modern components can improve the performance or functionality of the system as a whole. Again, this can be a way to extend the operational life of the existing vertical access system. A well-connected industry expert Alimak are able to provide upgrade-based solutions for components of electrical, control, mechanical and hydraulic systems. Alternatively, a more comprehensive refurbishment solution may be required for systems where the issues run deeper than a limited number of particular components. 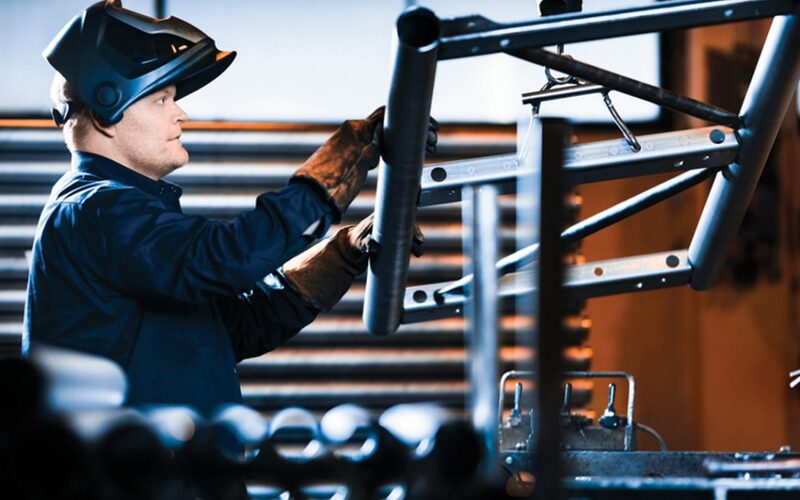 A complete refurbishment can extend the operational life of your equipment with a broader complete or partial overhaul of the structural, mechanical, hydraulic and safety systems. Again, Alimak Service are ideally placed to deliver this kind of refurbishment solution, providing service centres with dedicated technicians and resources for managing the complete refurbishment process from initial evaluation through to the final installation and re-certification. High complexity and major refurbishments also utilise the state-of-the-art manufacturing facilities in one of 12 Alimak product factories. Refurbishment is often an attractive and cost-effective option for many vertical access systems which, for a variety of reasons, could be performing better. For that reason, Alimak Service can provide on-going assessment of your equipment as part of a comprehensive service package. This helps to budget for future work and to plan ahead for when refurbishment may become the right move for you. Contact us to discuss a refurbished solution with one of our experienced vertical access specialists. Vertical Access Systems commonly represent a considerable investment, so it is vital to ensure that building owners and managers act prudently to protect their investment when repairs and maintenance work is required. Discovering for instance, that a worn component needs to be replaced or that part of the system needs to be upgraded can seem frustrating in the short term. 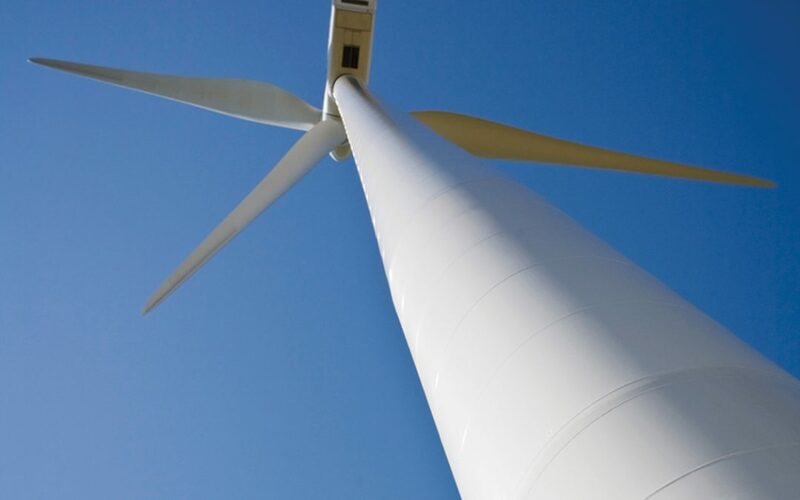 It is, however, part of a bigger picture which means preserving all of the benefits your vertical access system provides, ensuring it is still working at optimum levels, creating cleaning and maintenance efficiencies for the buildings and wind turbines they service and will continue to serve you well for its entire life cycle and, most importantly, that the safety of operators, residents and the public is not being put at risk. Bearing in mind all of these factors, which demonstrate the importance of carrying out appropriate maintenance, it also becomes obvious that the quality of all the parts used in any repair or replacement work is vitally important. If a precision engineered vertical access system is subsequently fitted with inferior spare parts, there is a significant risk that you will lose the benefits usually associated with regular maintenance. Clearly, compromising on quality during maintenance means compromising the quality of the whole system. Alimak Group products are constructed using the highest quality components, designed and manufactured in one of 12, state of the art wholly owned manufacturing facilities and from selected partners producing the industry’s leading proprietary parts. Therefore, in order to maintain these products for optimal performance and safety throughout their lifecycle, Alimak Service use original, genuine spare parts, manufactured and sourced to these same exact standards. In addition Alimak Service is also able to provide a range of components that are remanufactured to the same high standards of the original. This offers a cost-effective option which does not compromise on quality and allows greater ease of budgeting for repairs, upgrades and replacement of inherently time limited parts, especially when included as part of a comprehensive service package which covers the lifecycle of the equipment. Our relationship with the Alimak Group of companies means Alimak Service are able to source genuine spare parts from a wide range of the leading brands in the vertical access system industry including Alimak, Alimak-Hek, Champion, Hek, Heis-Tek, Coxgomyl, Manntech And Avanti. This commitment to genuine spare parts is provided for through a global network made up of 100 service centres and the 12 Alimak product factories. This ensures that our knowledgeable local After Sales teams can identify and dispatch the required parts quickly and efficiently, delivering them to the right place at the right time. Choosing the right vertical access systems for your needs is obviously important, as is ensuring that a regular program of routine maintenance is in place. Thinking beyond this to a broader view, how can you ensure that you are effectively managing your equipment over its entire lifecycle? Is it providing the service and functionality it should, as efficiently as it should? Asset management is a more proactive, comprehensive approach to protecting your investment in vertical access equipment over the course of years that make up its total lifecycle. This allows building owners and building managers the freedom and the peace of mind to focus on utilising their equipment and enjoying the benefits it will continue to deliver rather than just reacting to any issues which may occur such as downtime. Alimak Service’s, total care packages are always unique to our customer’s requirements, combining elements from our service offering and customer support with extra benefits specially tailored to meet the exact requirements of each individual customer. Alimak Service enjoys the advantage of a global network of service centres, each with full knowledge, expertise and skill of the vertical access equipment available on the market that allows for us to provide a comprehensive total care package anywhere in the world. This localised, asset management-based approach takes an active interest in maximising the potential of every asset to ensure product uptime, safety and productivity is never compromised, leaving you safe in the knowledge that your investment in the best equipment is protected by the best service available. A typical care package would include a wide range of elements to provide for effective management and maximisation of your equipment’s use-value. From a primary consultation and proposal, we would understand your needs and agree on a service level, as well as establishing a service and preventative maintenance program along with a spare parts package including parts to be replaced at scheduled intervals. Operator training would be provided, along with other services such as emergency call-outs, technical support and troubleshooting help and, where available for your equipment, remote monitoring which can collect and analyse data on performance and identify faults. Total care also includes the on-going evaluation of your asset to effectively manage it through the whole lifecycle. Asset management is not only for new vertical access systems. Care packages are also available for existing installations, following an inspection and evaluation of the equipment to determine the completion of any immediate work that is required. Alimak Service care packages, and the big picture asset management approach mean you can rest in confidence that you are always getting the most value from your equipment and won’t have to react to any unforeseen critical issue. What’s more, this peace of mind provides customers with fixed cost over the total lifecycle of the equipment. To learn more about our Asset Management services and total care packages, please contact us.